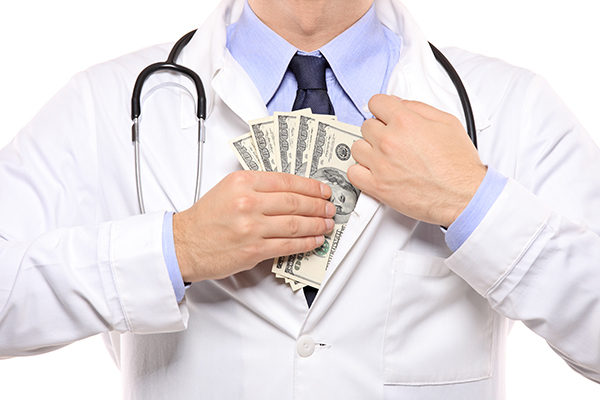 The healthcare community began hearing about large Stark settlements in 2015. In September of that year, Becker's Hospital Review reported on five settlements to resolve alleged Stark violations over a three-month timeframe ranging from $3 million to nearly $119 million. On the low end, Nashville-based Vanguard Health Systems, which was purchased by Dallas-based Tenet Healthcare in 2013, settled a whistle-blower suit alleging kickbacks for $2.9 million. On the high end, Florida-based Adventist Health System paid a record $118.7 million to settle claims of improper physician compensation. "For a long time," he continued, "there wasn't much guidance from the DOJ about what they looked for." However, Westling noted, the department has produced 'Evaluation of Corporate Compliance Programs' that more clearly outlines expectations. "In essence, it has become a rubric for us to use when we advise clients and for compliance officers to use in evaluating their programs." 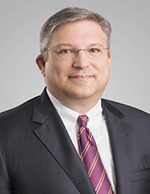 Richard W. Westling, who was previously a partner with Waller, has become the founding member of Epstein Becker Green's Nashville office. The national law firm recently opened its first office in Tennessee and 14th location in the United States with space in the Fifth Third Center on Church Street in downtown Nashville. Westling, a healthcare compliance and government enforcement defense lawyer, will be based in Nashville but will also work out of the firm's Washington, DC office. Certified in Healthcare Compliance by the Health Care Compliance Association, he comes to EBG with almost 30 years of experience in a variety of roles, including as general counsel for a Medicare Advantage organization, federal prosecutor and defense attorney. Westling spent more than eight years with the U.S. Department of Justice. He served as First Assistant U.S. Attorney and as an Assistant U.S. Attorney (Health Care Fraud Coordinator and Asset Forfeiture Chief) in the New Orleans U.S. Attorney's Office and in Washington, DC at DOJ headquarters as Special Assistant to the Assistant Attorney General for the Tax Division and as a Trial Attorney in the Tax Division's Criminal Section. "We welcome the opportunity to improve the availability of our resources to our many clients in Nashville and throughout the state of Tennessee," said Mark Lutes, chair of EBG's Board of Directors. "Rich, and others who will join us as we grow in Nashville, will provide boots on the ground to facilitate the connection between clients in Tennessee with new developments in Washington, DC, and at CMS in Baltimore, two key locations where EBG already has offices." "Our sophisticated healthcare clients in Nashville will value our depth of experience and national resources delivered with a local touch," added EBG Board Member Lynn Shapiro Snyder. Founded in 1973, EBG is a national law firm with a primary focus on healthcare and life sciences; employment, labor, and workforce management; and litigation and business disputes.